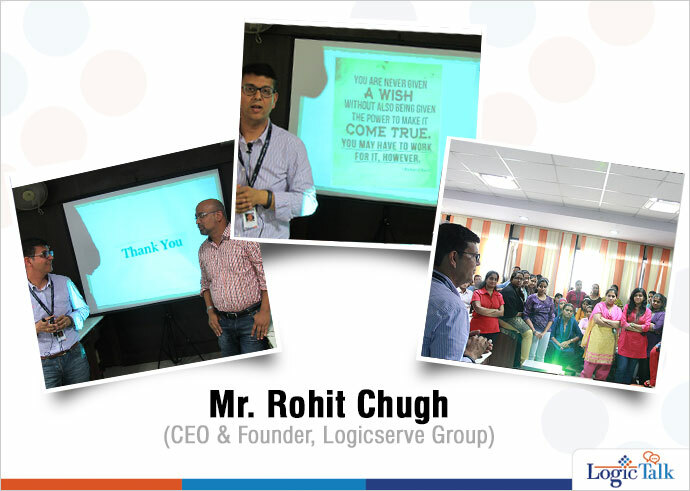 Mr. Rohit Chugh, CEO, Logicserve Digital shared his 3 success mantras that kept the needle of success moving in the right direction. For years we have been hearing that successful entrepreneurs are born leaders, that they had it in them since birth. But in reality, taking the plunge of becoming an entrepreneur is a bit daunting for everyone and there are certain virtues that can help you sail. A common thing among all great business people is that they leave an impact on the lives of their employees, the business industry and community as a whole. Most of us want to take the journey of becoming an entrepreneur and get into the world of business. Mr. Rohit Chugh, CEO, Logicserve Group shared his 3 success mantras that kept the needle of success moving in the right direction. Reading regularly and reading quality books works as a tonic for your mind and stimulates your thinking process. Books give you the strength to find out what exactly do you want in life; it helps you recognise your goals and aspirations. By being aware of what’s happening in the world, you can find a million ideas on how to improve your business and keep yourself motivated. It is very important that you own your work and take complete responsibility for not just the success but also the failures. Learn from the failures. Take appropriate actions to make your goals a reality and refrain from blaming others and making excuses. Feel proud of your work and reach out for different ways of solving an issue. Genuinely love your work and don’t mind going an extra mile. To continue travelling the journey of success, keep pushing your goals further and channelize all your energy towards it. In order to achieve immense success, having a support system is very crucial; it’s always a team-work. Family, mentors and employees all play a significant role in your success. Try to absorb-in all the positives that come from them and you never know when a casual talk with your spouse would give you an idea that might click. Also stay motivated and focused, all successful entrepreneurs have a burning desire to do something better and add value to this world. They are driven by something deeper that comes with self-discovery. This month’s LogicTalk enabled Logimates to have an insight of Mr. Chugh’s life and find an inspiration to make their dreams come true. He quoted a few lines from Jonathan Livingston Seagull, “You are never given a wish without also being given the power to make it come true. You may have to work for it however.” And we just could not agree more.